Sunflower seeds — great at the ballpark, helpful during a long drive, and a native plant to North America that has become a staple to cultures worldwide. Despite their small size, sunflower seeds are a dense source of vitamins and minerals and essential oils. Not only are they a great snack, sunflower seeds offer several extraordinary health benefits. Sunflower seeds contain two nutrients that promote cardiovascular health — vitamin E and folate. A quarter cup serving of sunflower seeds contains over 60% of the daily value of vitamin E. This essential vitamin performs important antioxidant function and balanced levels of vitamin E have been linked to a lower overall reduced risk of early death from cardiovascular disease. Vitamin E helps neutralize free radicals to protect brain health and cell membranes against redness and swelling. Make no mistake about the benefits of vitamin E, it has been linked to protection from more than one serious health risk. Additionally, folate has been shown to promote cardiovascular health from birth to old age. It metabolizes homocysteine, an indicator of cardiovascular problems, into methionine, an essential amino acid. Folate and essential fatty acids naturally occur in sunflower seeds and have been associated with cardiovascular health. Sunflower seeds contain a high level of phytosterols. These phytosterols have physical properties similar to cholesterol; more than once, research has linked them to supporting healthy cholesterol levels. Magnesium deficiency can lead to a variety of health problems that affect the cardiovascular, nervous, and immune systems. The muscles and skeletal system also require magnesium for proper function. Homeopathic practitioners have long used magnesium to promote respiratory function, heart health, and reduced PMS tension. 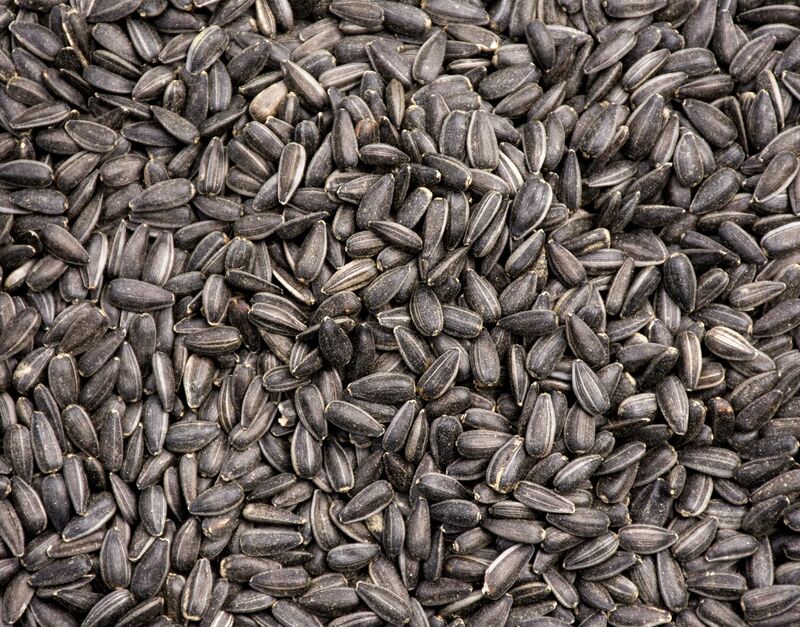 And a quarter cup serving of sunflower seeds provides more than 25% of the recommended daily value of magnesium. That’s protection for your brain, heart, muscles and more! There’s an added bonus to the magnesium in sunflower seeds, it promotes a healthy mood. Over one hundred years ago, magnesium sulfate was given to patients suffering from depression. Its success, as well as its safety, made it a valuable option. Today magnesium plays an essential role in homeopathic therapies for mental health. Sunflower seeds contain selenium, an essential nutrient. Studies have found it plays a role in antioxidant function and helps reduce redness and swelling in the body. It also has recently been identified for its critical role in thyroid hormone metabolism. Selenium has also been noted for its ability to encourage DNA repair in damaged cells.